Bernard Silberstein was appointed to the Duluth Board of Park Commissioners in 1891. Fellow board members elected him vice president, an office he held until he resigned from the board in April 1911. Between 1910 and his retirement he was responsible for Portland Square, Chester Park, and Lincoln Park. In 1866, eighteen-year-old Hungarian-born Silberstein left Vienna, where he had been educated, to immigrate to the United States. He eventually landed in Detroit, but soon after headed to Duluth, as he often said, “only to look around.” Silberstein must have liked what he saw. He returned to Detroit to marry Ernestine “Nettie” Rose Weiss, a native of Budapest, then took his bride to the Zenith City for their honeymoon. 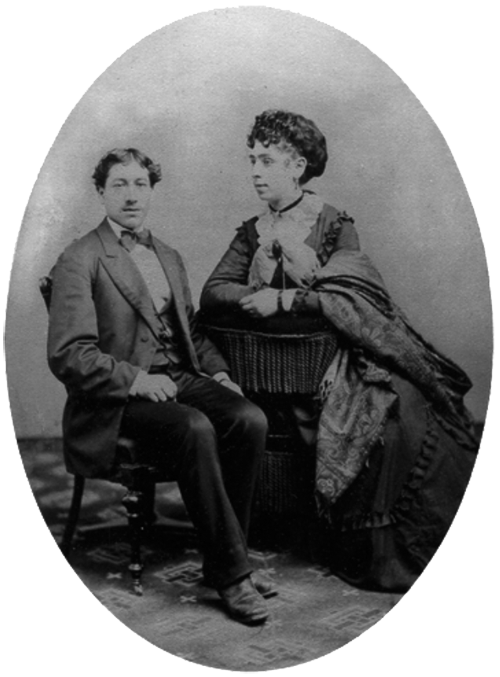 The Silbersteins stayed, helping to establish its first synagogue, Temple Emanuel. Bernard and Nettie, along with brothers Asa and Henry Leopold, are considered Duluth’s first Jewish residents. Silberstein began his career in Duluth selling items from house to house before he and William Farrell opened what is thought to be Duluth’s first dry-goods store, which, according to his obituary, sold “everything imaginable.” (Dry goods described anything not considered hardware or groceries.) Before the year was out, the pair had joined forces with a man named Whitcher to form Whitcher, Silberstein & Company, referred to in newspapers as Whitcher & Silberstein’s Fancy Furnishings Store. The partnership was short-lived. By 1872 Silberstein was working with Isaac Bondy under the name B. Silberstein Company. Bondy, who lived and worked in New York City, acted as the company’s purchasing agent. In 1881 they organized the Silberstein & Bondy Company; the firm’s 1884 building still stands at 9–11 West Superior Street. In 1912 the Silbersteins moved into High Point, an eight-thousand-square-foot Georgian Revival home at 21 North Twenty-first Avenue East designed by Frederick German. In 1913 Silberstein ran for mayor but was defeated by William I. Prince in one of the wildest political contests in the history of Duluth. Two years later he ran for city commissioner. Both he and James Farrell, who had also lost the mayoral race in 1913, were elected by wide margins; Farrell was the nephew of William Farrell, Silberstein’s first business partner in Duluth. Silberstein held the office of commissioner of public safety until 1919, when he refused to run for another term. 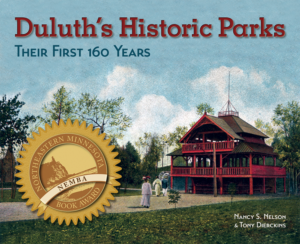 With great foresight and optimistic as to the future of Duluth, he often advanced the money to the city for the purchase of park property. It was the cash that brought the best deals and in those early days the city had very little money with which to do any high financing. But he took a chance and advanced the money that Duluth might have a park system to be proud of.